The first “migrant caravan” of invaders from Honduras and Guatemala has swelled to more than 7,000 and are reported to have crossed the Guatemalan border into Mexico, “with little resistance” from Mexican authorities. A second “caravan” of more than 2,000 Hondurans reached Guatemala yesterday. 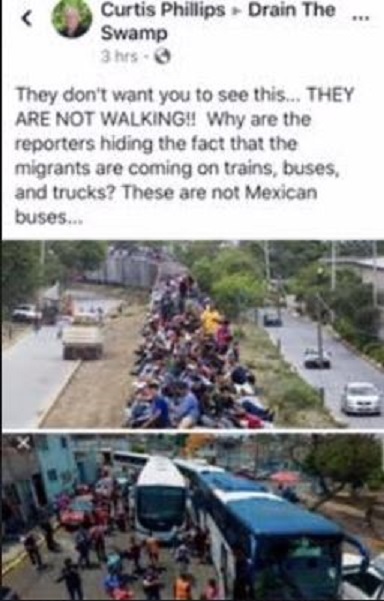 What the Hate America Media (HAM) aren’t telling us is that untold numbers of the “caravan” invaders are not marching. 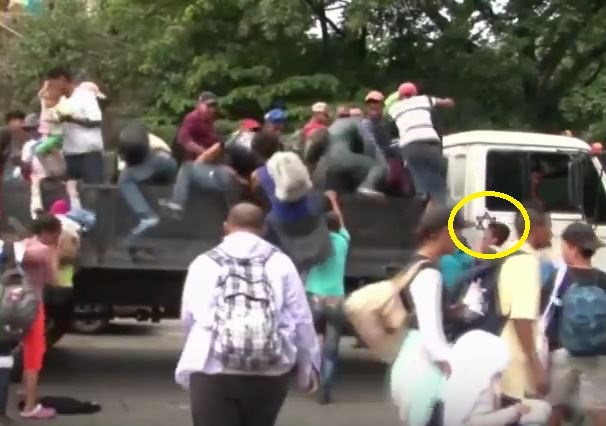 They are being transported on trains, buses and trucks, which indicates the invasion is an organized, and therefore planned, effort. CARA Family Detention Pro Bono Project — a coalition that includes Catholic Legal Immigration Network (CLIN), the American Immigration Council (AIC), the Refugee and Immigration Center for Education and Legal Services (RICELS), and the American Immigration Lawyers Association (AILA). We are also not told that as the 10,000-strong army of invaders make their way to the Mexican-U.S. border, an advance troop of thousands are already swarming the Texas border, leading Texas Border Patrol to send out a desperate plea for help. Kristinn Taylor reports for Gateway Pundit that in Texas’ Rio Grande Valley, 16,000 illegal alien “family units” were caught in the last month, more than 12,000 illegal border-crossers were caught in the past three weeks, with over 700 caught just last Saturday. In addition, the Valley’s overstretched Customs and Border Patrol (CBP) have also busted safe houses and intercepted drug cartel smugglers. All these illegals take manpower and resources to detain, process, house, clothe, feed, and give medical treatment. Earlier in the week, Padilla posted a plea for immigration reform, calling the border “out of control”. He reported #BorderPatrol a 300% increase in Family Units entering the country illegally compared to October of 2017. Over 5,400 Family Units were detained in just the past two weeks. In an interview yesterday (Sunday), Padilla said that just the day before his sector reported 700 illegal aliens caught at the border, 8 human smuggling cases, one dead body recovered, a potential river drowning (body not surfaced yet), over 700 pounds of marijuana and 68 pounds of peyote seized–all on Saturday. Reportedly, among the illegal aliens who were caught are a group from China. As I was driving on Interstate 8, about 60 miles east of Yuma, AZ., on Monday, I witnessed about 100 American troops who had established a temporary base right next to the border. I do have photos but I am running them by an expert before I release them. When we stopped to take photos, we definitely garnered the attention and when real attention was paid to us, discretion became the better part of valor and we left the scene. On the way out to San Diego, last Friday, located 20 miles east of Yuma, along the same stretch of highway, I witnessed portable radar devices that were operational and they were accompanied by around 30 troops living in tents, next to the border fence with Mexico. I was relating my observations to a friend and he said he saw the exact same thing near Ajo, AZ, which is adjacent to the border as he entered Mexico several weeks ago. Mr. President (@realDonaldTrump), the time for threatening words is over. It is time for action. Declare martial law along the U.S.-Mexico border. Send the United States military to the border to show Mexico-Guatemala-Honduras and the American people you mean what you say. If you don’t, you’ll lose the support of the millions of Deplorables who voted for and believed in you. The Star of David (✡), known in Hebrew as the Shield of David . . . a generally recognized symbol of modern Jewish identity and Judaism . . . . Its shape is that of a hexagram, the compound of two equilateral triangles . . . . The symbol became representative of the worldwide Zionist community, and later the broader Jewish community, after it was chosen as the central symbol on a flag at the First Zionist Congress in 1897. 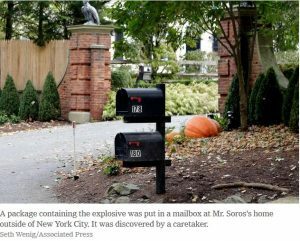 As with the previous caravan that sprung up last spring, the open borders group Pueblo Sin Fronteras, which is connected to Soros’ Open Society Foundation, is involved with organizing the caravan of 4,000, and the leader of the group was arrested Thursday for attacking Mexican immigration agents….